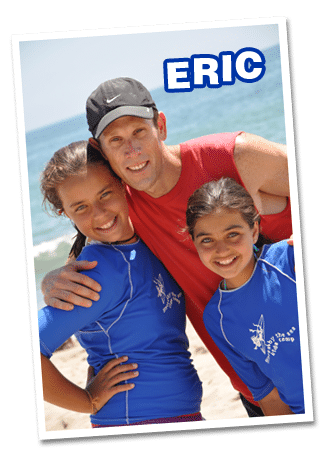 Fitness by the Sea was launched by the Eric & Billie Colton in 2000 from a passion for offering kids a more spirited and nurturing camp experience. After speaking with hundreds of local parents about what was missing in their child’s day camp experience, the vision for creating a special place where campers would be empowered with the ability to choose their own activities, to develop leadership, confidence, and caring in a wildly fun environment was born. 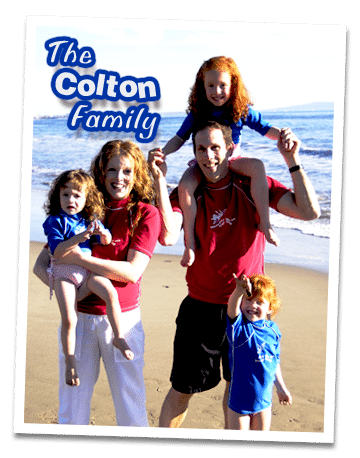 Eric & Billie Colton are intimately involved in every facet of FBS, and their two children attend the camp every week, just as they have since they were five years old. 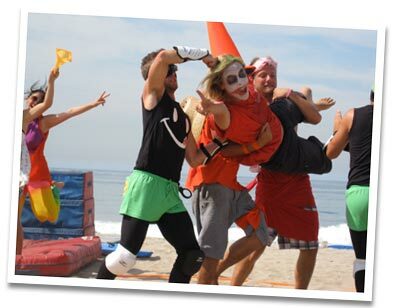 Their commitment to creating a special place for kids is apparent in every aspect of Fitness by the Sea. And if you ever want to speak to one of them, they’re always available to answer your questions about FBS to ensure that your child has the best possible experience. Eric Colton, Owner & Director, has a deep understanding of the role camps play in a child’s development. Having grown up attending kids camps and then continuing to serve as a camp counselor, supervisor, and director – his experience with creating a fun, nurturing, and safe environment for children is unparalleled. He fully understands the variety of dynamics that exist in a camp: camper to camper, camper to staff, staff to parents, and is widely recognized as an innovator in kids day camps. Eric graduated from UCLA in 1990. Before starting Fitness By The Sea, he worked in the field of health & fitness for 10 years which included his work with children as a Post Rehabilitation Conditioning Specialist. Working in this field sparked Eric’s passion for combining his love of children and health & fitness. Eric developed and launched Fitness by the Sea in 2000. He has been operating and directing it ever since, growing it into one of the most successful summer camps in Southern California. Eric is a hands-on owner who works on-site every day supervising the staff and facilitating program development. He coordinates the camps’ activity schedule ensuring our campers a fun-filled, memorable summer experience. Billie Colton, Co-Owner & Administrative Director. When they met, Eric & Billie discovered they shared a mutual love of children, therefore, she left her business career and joined him at Fitness by the Sea. Since the birth of their three children, she focuses on directing the administrative aspects of the business. We are assisted in everything we do by a core of dedicated, passionate camp professionals–our Leadership Team. Handpicked for their caring, creativity, and ability to work with youth, these parents, educators, and coaches collectively and individually set the bar for the staff they supervise. We work together year-round to create the best possible summer experience. Our counselors also are carefully selected men and women–college students, teachers, and professionals with education and camp experience. We are highly selective, identifying people who will be positive role models and who love working with children. Then, we employ multi-layered methods of checking their credentials, including background checks, and personal references. Each year, over 1500 people apply to work at FBS. We conduct an exhaustive interview process with over 800 of these applicants to find the very best people to work with your children. Our interview process is so unique, you probably wouldn’t even realize it was an interview if you saw it. One of the most important traits we seek is an “inner child” that can relate to our campers. We spend half a day with each person we interview, playing kids games, role-playing, and putting them in situations they will encounter in our camp to discover their true abilities. Before hiring a staff member, we research their backgrounds and references to ensure they meet our strict criteria. After all that … only 4 to 5% of applicants are hired. Our goal in staff development is to empower our counselors with the tools and techniques to become not only “big friends” to our campers, but also to be their nurturing mentor in truly life-defining emotional situations. If you look closely, you’ll discover that our staff members are as much a part of the FBS Family as our owners and campers. 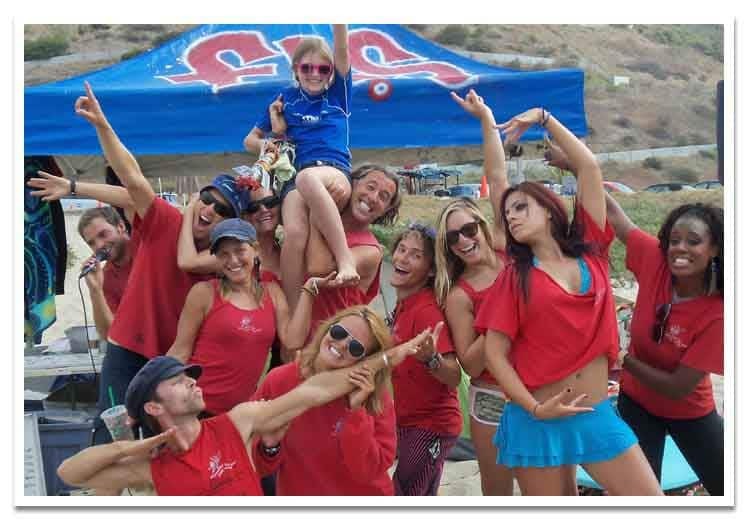 Before camp begins, we conduct an intense training program to sharpen our staff’s skills, develop teamwork, and cultivate the passion and fun that drives Fitness By The Sea. Qualifications: Our staff spends quality time with each child, helping to motivate, teach and guide them through their daily activities. They are well-steeped in such important disciplines as CPR/First Aid, child psychology, team building, and conflict resolution. Consequently, they are able to help children of all ages not only grow but flourish. The average age of our staff is 28. We strive to hire staff members who have previously worked with kids and have a passion for teaching and mentoring. With an older staff, which includes many teachers and parents just like you, we can truly focus on your child’s development and well being. Our staffers are special people who get right in there and join the fun as active participants and supporters. Cheering loudly, singing energetically, coaching, returning a serve, lending a hand-FBS staff members are there for our campers every step of the way to ensure an amazing summer experience for each child.